The 6U and 5U in-rack cooling distribution units are compact versions of our cooling distribution unit (CDU). They are designed to fit in the rack and provide 50 kW of cooling capacity. 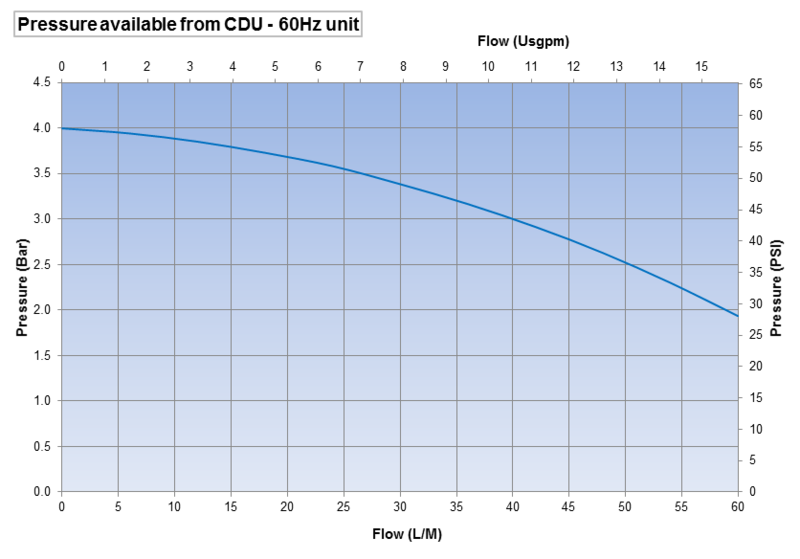 Our in-rack models offer many of the same advantages featured in our CD6 CDU. On the front face of the unit is the touchscreen operator interface, which allows for ease of operation and monitoring. The unit controller offers RS 485 communication for building management systems (BMS) and TCP/IP communication for single network management protocol (SNMP), web servers, file transfer protocol (FTP), Telnet, Secure Shell (SSH), Modbus and more. High flow rate (60L/min) and external pressure available per unit. The redundant 48VDC variable-speed pumps produce minimal noise. Ideal for small footprint supercomputers. Can be installed anywhere on the rack. Can be used with direct-to-chip liquid cooling cold plates or rear door heat exchangers with multiple connector options. 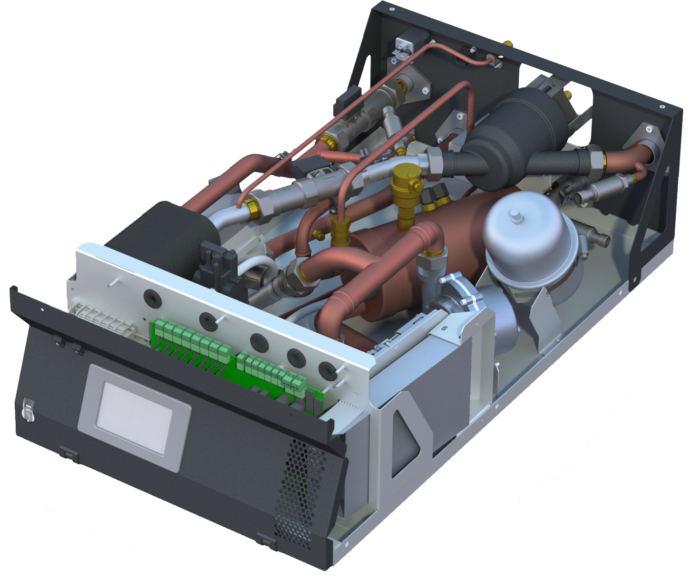 Uses less than 600 Watts of power input for 50 kW of cooling output - an efficiency rate of 8300%.